It’s an exciting time for photographs from space. Last month, when Elon Musk’s privately held company SpaceX posted photos taken during a successful satellite launch, I noted that, unlike every picture NASA has ever taken, these wouldn’t enter the public domain immediately by default. It may have been an unintended side effect of the copyright rule about government works, but for whatever reason the public domain grew with each space photo, and that would be stopping. That’s a bummer, and I called for Elon Musk to fix it by dedicating his company’s new photos to the public domain. This month, we’ve had a victory in two parts. 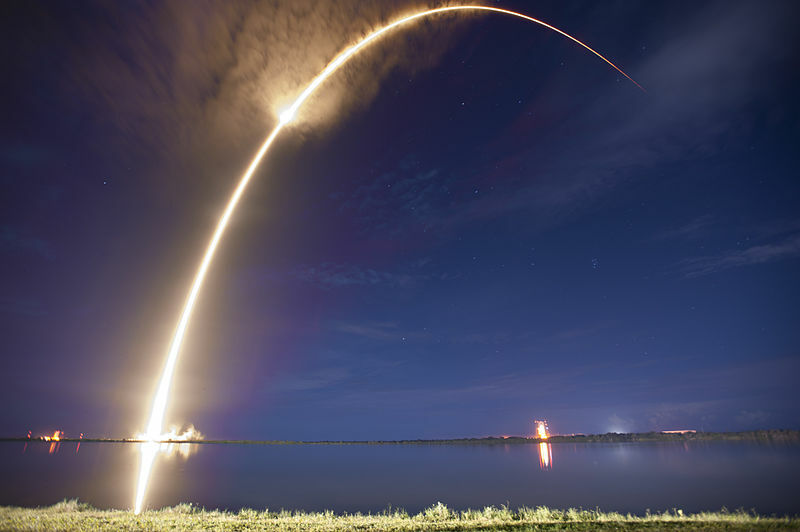 First, after press inquiries and the like, SpaceX announced that it would be opening a repository of photos on Flickr, and that beyond just allowing public access, it would release those photos under a Creative Commons Attribution-NonCommercial license. I don’t love NonCommercial licenses for a lot of reasons, but still, that was a nice show of good faith and I appreciated that a major company would take the effort. But then another remarkable thing happened. When Musk tweeted about putting those photos online, somebody replied suggesting the public domain—and then Musk agreed. It was a remarkable exchange, and just a few minutes later he declared that he’d changed the license. There was some confusion, as Flickr doesn’t generally allow photos to be marked as truly public domain—that would require a CC0 waiver, or a declaration that the photos otherwise have no restrictions—so on that platform they were instead set to the most permissive license available, Creative Commons Attribution. Jessamyn West wrote a great post explaining how that meant that the photos weren’t really in the public domain, for some purposes. But on SpaceX’s own site, they are clearly marked with a CC0 waiver. And as such, they’ve been uploaded to platforms like the Wikimedia Commons, where they can bear the same freedoms. This may be a small campaign—targeting just one company, and not changing any systemic policies—but the victory is real and exciting. Thank you, Elon Musk, for setting an example and helping to grow the public domain.